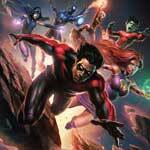 Teen Titans: The Judas Contract is a thoroughly entertaining addition to the DC Animated line-up and a step forward from some of their recent lackluster titles, a leap above The Killing Joke and compared with the DC Animated Universe ones, this is probably top five (without looking at my rankings). Warner Home Video has announced the date and released artwork for the latest in the DC Animated Universe title, Teen Titans: The Judas Contract starring the voice talents of Christina Ricci, Miguel Ferrer, Gregg Henry, Taissa Farmiga and others. Click on the link below or image to the left to check out the features and artwork. 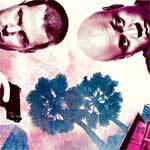 It’s not always a given that a series going into its seventh season would be any good but I’ve thoroughly enjoyed NCIS: Los Angeles thus far and appreciate the advancements the writers and producers have made with these characters. 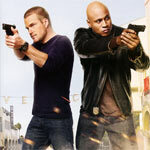 “NCIS: Los Angeles” is what I would call diversionary programming. It’s not terribly creative, outside of an episode or two, but the cast holds it together with wonderful chemistry. The DVD release from Paramount has a decent amount of features and although the video is good, the audio is merely adequate. If you’re a fan, this fourth season set might be worth the price. 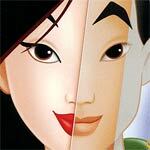 Mulan is one of the better Disney animated films from the late 1990s and an inspiration for little girls. The sequel on the other hand… not so much. It’s not a disastrous film by any stretch but it is the typical DTV flick which Disney released during that era. Even so, this Blu-ray gives fans of either or both films on one disc and enjoying with HD audio and video. The price is a tad steep but if you can nab it sub $20, it might be worth picking up.